Florida State will officially begin their season on Friday, February 16th at home against the Xavier Musketeers. The ‘Noles finished last season with a 46-23 record, an ACC Championship Title, and a trip to the College World Series. The vision looks clear, as Florida State aims to have another successful season just like they did last year. Xavier finished the 2017 season with a 34-27 overall record. They went 10-6 in the Big East Conference, finishing in third. The Musketeers are the back to back Big East Conference Tournament champions as well. They lost a record number of players to the draft last year at eight, but are still returning many familiar faces. The Musketeers have also added 11 new freshmen to the team. Xavier is bringing a strong and stable infield that will most likely be the ‘Noles biggest challenge this weekend. Their outfield is returning a notable key player, Joe Gellenbeck, who will play a huge role for the Musketeers in right field. He was the 2017 preseason Big East Conference Player of the Year and is also expected to be a strong component for Xavier when at the plate. Their pitching staff is in a season of rebuilding after losing five players to the draft, and returning only two pitchers. They are a strong team, with hopes of making it back to the post season after losing in the final game of the Louisville Regional last year. As for the Noles, this team has a lot of new faces, but are returning some of the best players in the nation. You can expect to see a few of the new transfers starting this weekend, especially with Mike Salvatore at shortstop and Rafael Bournigal at second. Although the starting lineup as of now does not feature any freshmen, there will definitely be a lot of playing time seen for players like Cooper Swanson, CJ Van Eyk, and Reese Albert at various positions on the field. The rest of the lineup is pretty similar to last season as junior Cal Raleigh returns behind the plate as the starting catcher. Sophomore Drew Mendoza will primarily play third base this year instead of first, and the first baseman will be either Rhett Aplin or Kyle Cavanaugh starting on Opening Day. Tyler Holton, when he is not pitching, is also expected to have playing time at first base as well. The outfield is returning Jackson Lueck, JC Flowers, and Steven Wells Jr., who all are very important both in the outfield and at the plate. Jackson Lueck has been honored with many preseason accolades and is expected to have a great season this year with hopes of leaving for the draft. JC Flowers has a strong presence in centerfield and at the plate. After an exciting freshman season for Flowers, we should expect to see it all over again this year. The starting rotation for Opening Weekend is set. Tyler Holton will start on Opening Day. Holton is one of the nations premier pitchers and had an incredible sophomore season for Florida State last year. He started in 18 games, earned a 2.34 ERA, and 114 strikeouts in 119.1 innings. 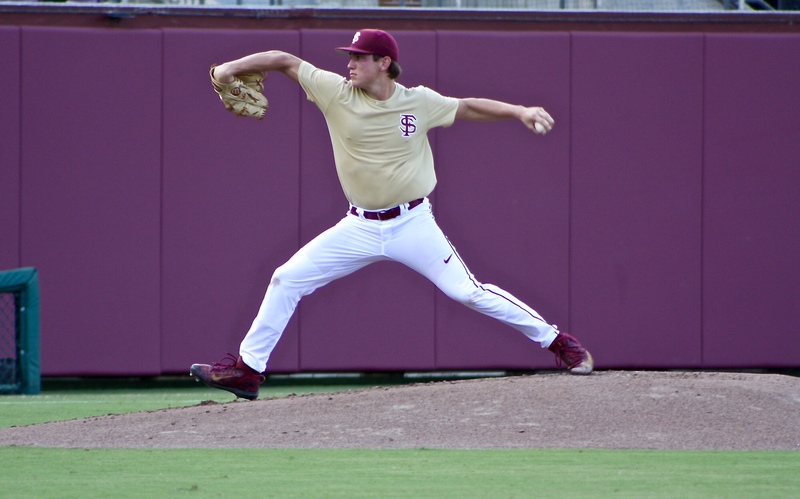 Holton is one of FSU’s best leaders, and as their Ace he will lead them to another successful season. Cole Sands. Sands is also a junior pitcher who started in 17 games last season. He earned 72 strikeouts on the season with only 29 walks all year. Last season, one of his most tremendous games happened in the ACC Tournament against Duke, where he sat down 15 consecutive players and successfully sent the Seminoles to the title game. Sands is set to have a great junior season, and quite possibly last season, at Florida State. Leading the Noles in their Sunday Gold’s will be sophomore Drew Parrish. Parrish had a standout freshman season notching huge wins against Boston College and Notre Dame. He came in to relief against UNC Chapel Hill for 2.2 innings in the ACC title game to clinch a 7-3 victory and had a career high 12 strikeouts in the Tallahassee Regional against Tennessee Tech. Parrish is a valuable part to this starting rotation and will close out the series this weekend against Xavier. Overall, you can expect Florida State with fiery attitudes ready to continue the success they found last season. They have tasted what its like to be in Omaha, and you will see them play every game like it’s the last game in the Super Regionals. This group that Head Coach Mike Martin put together this year is a special one. All wanting to play for something bigger than themselves, their brothers on the team. You will witness this kind of attitude and work ethic all season long, and it all begins on Opening Weekend against the Xavier Musketeers. Writer at NoleGameday covering Football and Baseball. 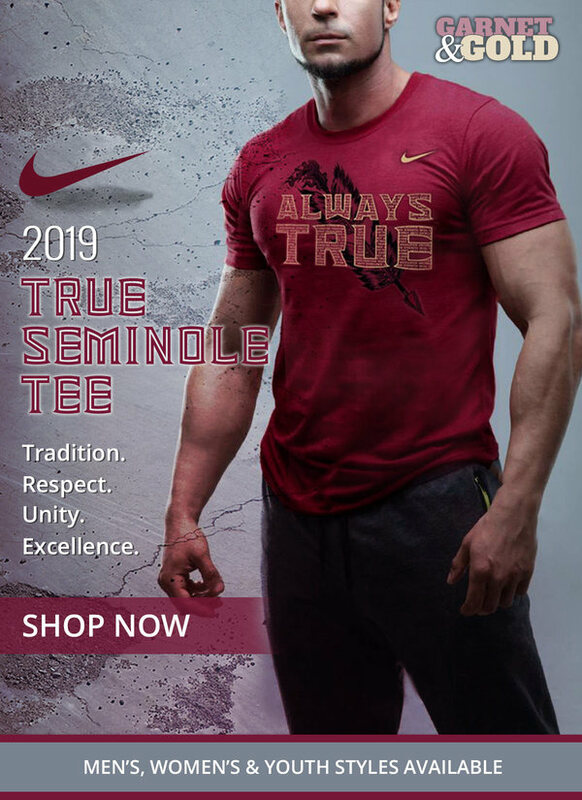 Media and Communications Studies major at Florida State University.